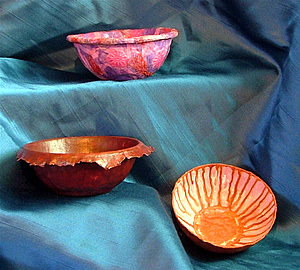 The tutorial for my papier mache bowls is now on my website. Here's a direct link to the page How To Make A Bowl. Let me know what you think and if you do have a go I would love to know how you get on. These are great!I've had a look at the instructions and will probably be giving them a go soon! That's great fatmonica, do let me know how you get on and if you have any problems I'll be happy to help.